This was a wonderful experience. Micah got very interested in giving me a great cut, something I haven't had in a while. I am happy every time I look in the mirror. The staff was very welcoming and knowledgeable. I will definitely be going back. I really liked Toscana. Stanley did a great job and it was all around a great experience. Tiffany gave me a great cut! One of the best haircuts I've ever gotten! Haircut was great. They were easy to schedule an appointment, were clear with the pricing, timing, etc. Very accommodating staff! the service a the salon was fine. 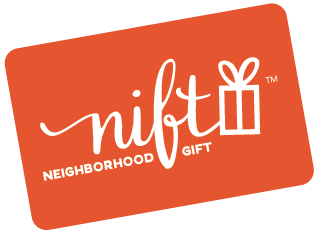 I don't like the NIFT set up - I used the coupon thinking I was getting a discount but still ended up paying the full amount for the hair cut - I think I am not your client market- I found both stores to have a price point higher than I am comfortable spending. In the ranking below I will recommend the spa because I don't want to hurt the company ranking. Great customer service. Love my haircut. Really nice, knowledgeable stylists - I love the cut and blowout Maitrieya gave me. Will definitely recommend to my friends! Stanley gave me a great haircut that really fits my face shape. I gave him minimal directions and let him do what he thought was best, and it turned out great! Toscana European Day Spa is wonderful, love my haircut every time I go! Stanley was really great and I love my haircut and color. Great experience, I love my new look! I thought Toscana was great! Stanley was the absolute best. I've never gotten a haircut so unbelievably wonderful. Stanley was a great stylist. The salon had a nice welcoming atmosphere, and the haircut was a reasonable price. Stanley is a fantastic hairdresser. He listened to what I wanted and took care of my specific needs. Overall the service was awesome !